Council Member I. Daneek Miller’s campaign is in fill swing and they still have slots for young adults and others to join the team to learn the fundamentals of community organizing. 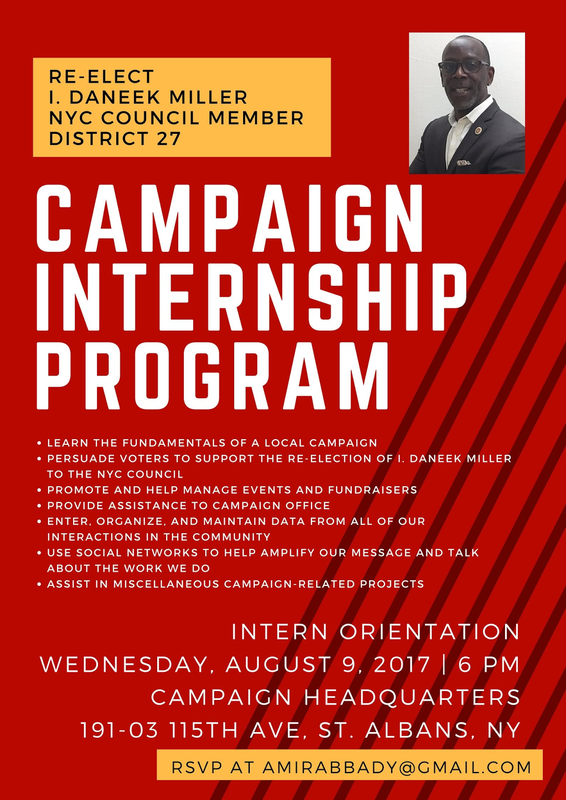 Council member I. Daneek Miller is inviting anyone interested in learning campaign fundament and professional development to come for a campaign intern orientation. Labels: Daneek Miller’s campaign is in fill swing and they still have slots for young adults and others to join the team to learn the fundamentals of community organizing.